The nutrients you put into your body may have a greater impact on your health than you realize. Nutritional deficiencies can affect many aspects of your physical, mental, and emotional well-being. Insights gained through nutritional testing could reveal priceless information that can help you achieve optimum health. Balanced nutrition is dependent on the foods you consume and the foods you avoid. All the foods you eat have an impact on your health, and failure to consume certain foods that your body needs also affects your health. Vitamins and supplements can help restore nutritional balance, but there are too many variables at play–including your anatomy, lifestyle, and circumstances–for a standard daily multivitamin to grant you the best health you could have. In fact, it could even prove worthless or cause you more harm than good. Nutritional testing reveals which nutritional imbalances you have and what changes need to be made so that your unique needs can be met. Nutritional imbalances can be responsible for many poor health indicators, ranging from dry skin and a propensity for catching a cold to poor healing, chronic illness, and heart disease. Below are some of the following common nutritional imbalances that can affect your health. Fatty Acids: Not getting enough fatty acids can cause depression, hyperactivity, numbness, early senility, and limitations during child development. On the other hand, an overabundance of fatty acids may be responsible for poor immune system function and heart issues. Dietary Minerals: Imbalances in dietary minerals can lead to joint pain, weight issues, depression, anxiety, fatigue, depressed libido, and renal failure. Antioxidants: Without the proper balance of antioxidants, the neurological, endocrine, and immune systems all suffer. Consequences may include neurological diseases, chronic fatigue, heart disease, and premature aging. 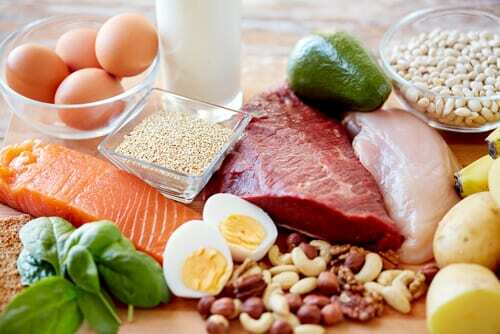 Amino Acids: If the levels of certain amino acids are too low or too high, it can increase cardiovascular risks, impair cognitive function, affect your mood, and cause fatigue. Nutritional testing can reveal key points about your health and nutritional intake. Certain tests measure your organic acids, which are chemical indicators that alert you to potential nutritional deficiencies that may leave your heart, brain, or other essential organs vulnerable. NutrEval FMV® is a nutritional assessment of your body’s antioxidants, essential fatty acids, minerals, B vitamins, and digestive support. The NutrEval® Profile can measure vitamin deficiencies, toxins, metabolism, essential and non-essential amino acids, essential and metabolic fatty acids, cardiovascular risk, nutrient status, and oxidative stress. Nutritional tests are taken using blood and urine samples to provide enhanced clinical insight for application in the moderation and treatment of patient health conditions. Results can lead to effective treatment of emotional disorders, cardiovascular disease, inflammatory conditions, chronic pain, and more. With nutritional testing, patients can accurately assess their health to understand what their bodies need to achieve the best health and well-being. Nutritional testing can help you understand how to give yourself the health you need to live the lifestyle you desire. Call (702) 660-4968 or complete our online contact form to schedule your appointment with us today.